Eric Glisson was 19 when a prosecutor in the Bronx DA's office pinned on him the murder of a cab driver he did not commit. For 17 years, the young father studied law books from a jail cell and drafted records requests to learn more about the investigation that led to his arrest. He found the names of the two men who actually killed the driver, and was eventually freed. It was a personal triumph. But his case raises questions about who polices prosecutors when their judgment fails. An affidavit from the investigator who reviewed Glisson's file makes clear his conviction was dubious from the beginning. Despite such serious criticism of the prosecutor's judgment and an innocent man having spent 17 years imprisoned, no assistant district attorney was ever disciplined in the Glisson case. 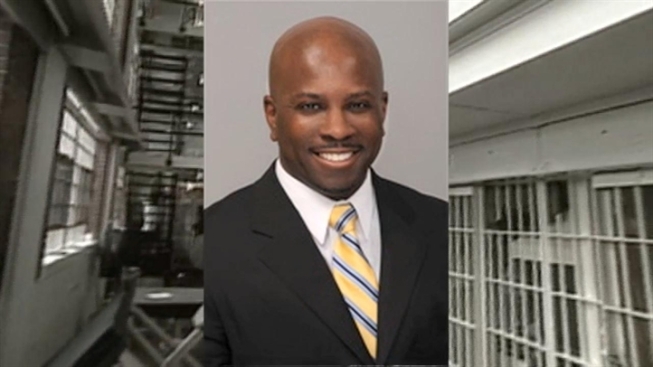 "Clearly we do not believe that this case falls into the category where the conduct of the assistant DA was called into question," said Bronx DA spokesman Steven Reed. "Any issues regarding the testimony of this witness were put before the jury." The Glisson case isn't the only overturned conviction that has resulted in little or no punishment for the prosecutors involved. The investigative journalists at ProPublica conducted a review of 30 cases where convictions were tossed out and a state or federal court found evidence a defendant's rights were violated. Out of those 30 cases, only one prosecutor was seriously disciplined. In one, a prosecutor accused of misconduct was promoted after his conviction was thrown out. Jabbar Collins was wrongfully convicted for the 1995 murder of a Brooklyn rabbi. He spent 16 years in prison and, like Glisson, had to prove his innocence from his cell. After Collins was exonerated, a federal judge reexamining the case described the trial behavior of the prosecutor, Assistant DA Michael Vecchione, as "horrible" and "underhanded." Vecchione was accused of suppressing evidence in a bid to railroad Collins. Vecchione did not return a call from the I-Team. Jerry Schmetterer, a spokesman for the Brooklyn DA's office, insisted Vecchione committed no misconduct. "Evidence was withheld by an assistant district attorney, but it was not Vecchione," Schmetterer said. "[W]hen we discovered the misconduct 18 years after Collins was convicted we could not determine the identity of the assistant." A judge admonished Vecchione for the misconduct, but he was not disciplined by District Attorney Charles Hynes. Instead Hynes tapped him as the office's Chief of Rackets. “The idea that people that are committing wrongdoing and violating defendants’ rights are getting promoted is offensive to any system of justice that the public expects,” said Mark Bederow, a lawyer representing another exonerated defendant now suing the Brooklyn DA for misconduct. Bederow’s client, Ronald Bozeman, spent more than year behind bars for an armed robbery he did not commit. Two victims in the case initially claimed it was Bozeman who pulled a gun on them, but a few weeks later corrected their mistake and identified a second man. Prosecutors, however, still went after Bozeman. The Brooklyn DA's office contends those prosecutors acted correctly because the case included DNA evidence connecting Bozeman to the robbery scene. After more than a year of legal wrangling between Bederow and the Brooklyn DA’s office, Bozeman’s conviction was overturned, but there is no record the prosecutor was ever disciplined. “A proper prosecutorial function is to look into these matters, and not just get convictions, but do justice,” said Bederow. Shortly after he took office, Manhattan District Attorney Cyrus Vance Jr., who is also president of the District Attorneys Association of New York, established a Conviction Integrity Unit designed to root out wrongful convictions, but critics have criticized such efforts as poorly staffed and ineffectual. In response to this report, Vance's spokeswoman, Erin Duggan issued a statement challenging the notion that an overturned conviction means a prosecutor did something wrong. "A legal error in a case is not the same thing as those few cases where some courts have found willful misconduct. In our system of justice, as in all human endeavors, people sometimes make mistakes," Duggan said. The Manhattan DA's Conviction Integrity Unit recently conducted an 18-month reexamination of the case against Jon Adrian Velasquez, a man convicted of killing a retired police officer in 1998. Despite a key witness recanting his testimony, the DA's office decided Velasquez should remain incarcerated. "We have not found evidence sufficient to demonstrate that Mr. Velazquez is innocent," Duggan said. After Glisson was wrongfully imprisoned for 17 years, Brooklyn's Conviction Integrity Unit finally agreed not to challenge his release. But Glisson said he believes conviction integrity units are token efforts that lack the true independence and resources necessary to rigorously investigate the few prosecutors who violate defendants’ rights. Glisson is in the process of filing a lawsuit against New York City for his wrongful imprisonment. Since 2003, the New York City has paid more than $16 million in settlements to wrongly convicted defendants.